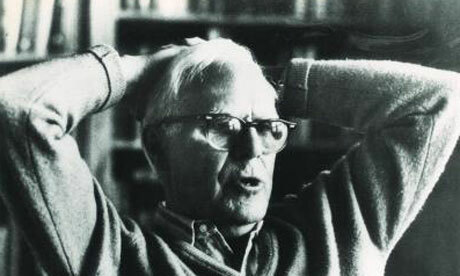 Martin Gardner died on May 22 aged 95. His writings on mathematics and science inspired the concept of mathematics as a fun pursuit. He achieved further fame with his shrewd analyses of Lewis Carroll's Victorian fantasy stories about Alice. In 1956 he wrote his first article for Scientific American magazine. This he followed up with an essay about hexaflexagons – hexagons made from strips of paper that show different faces when flexed in different ways. This clear and entertaining exposition impressed the publisher so much that Gardner was given a regular column in the journal, to be written on similar topics. At this point, he had not studied any mathematics since leaving secondary school, so Gardner became a self-taught expert, gaining second-hand books in order to find enough material to keep his "Mathematical Games" column running. He did, and it ran for 25 years until 1981. It earned Gardner the American Mathematical Society's prize for mathematical exposition. During this time, he was also a prolific writer for other mathematical publications; he published articles in hundreds of magazines, newspapers and various journals. His lack of a formal mathematical education meant that Gardner rarely relied on academic jargon, but instead he gave the column a broad appeal by packing it with anecdotes, cultural references, jokes, tricks and many games. He introduced concepts such as fractals and Chinese tangrams, which have all become favourites with today's mathematics teachers as they seek mathematically rich and challenging, but fun activities. Gardner was also a writer on the subject of debunking the paranormal and pseudo-science. In his 1952 book "Fads and Fallacies in the Name of Science", Gardner argued against many bogus concepts, such as alien abductions and a belief in UFOs. Later he became an antagonist of the spoon-bender Uri Geller. His followers have created a regular convention known as "Gatherings for Gardner" (G4G), at which mathematicians, magicians and fans of all sorts of puzzle congregate from around the world. There can be few mathematicians over 40 who would not say they have been influenced in some way by Gardner's blend of mathematics and mathematical fun.